Signing up to Wholesale Clearance UK takes a matter of seconds, the benefits that come with signing up to a site like Wholesale Clearance UK are endless, but most importantly registering on Wholesale Clearance UK is free! You will need to sign up to the Wholesale Clearance UK site if you want to buy something from the website, or receive promotional emails surrounding the latest offers which Wholesale Clearance UK have available. Using the account toolbar at the top of the Wholesale Clearance UK webpage you are able to see your account including the previous orders you have with Wholesale Clearance UK and the status of those orders, it’s so simple and easy to monitor the items you are purchasing, and see when they are due to arrive. Just one of the benefits of having an account with Wholesale Clearance UK is having the ability to add various products to your shopping basket and then save the basket for a later date. Customers who don’t have a membership with Wholesale Clearance UK will not be able to do this and may not be able to find the products that they had previously. Depending on the status of your business you may find it more suitable to view the price of products for sale on Wholesale Clearance UK with or without VAT, having an account with Wholesale Clearance UK makes this possible with the click of a button. Having an account with Wholesale Clearance UK simply makes life easier because we know you’re busy with other things! As the site saves all your details so when you want to buy something it simply takes one click! But that’s not all Wholesale Clearance UK will also allow you to have your parcels sent to different addresses should you require it, again a simple service dedicated to you! Being a online retailer keeping up with the latest trends at low prices is key, Wholesale Clearance UK makes sure you never miss a beat by sending you the latest products and offers straight to your email. 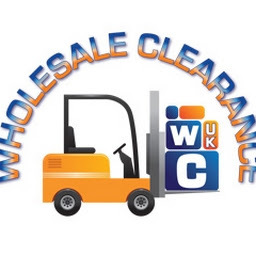 Ultimately having an account with Wholesale Clearance UK just makes sense! Excellent items from you, man. I have understand your stuff prior to and you’re just too wonderful. I really like what you’ve got here, really like what you’re saying and the best way wherein you assert it. You make it entertaining and you continue to care for to stay it smart. I can not wait to read much more from you. That is actually a tremendous site. Greetings! This is my first comment here so I just wanted to give a quick shout out and say I truly enjoy reading through your blog posts. Can you recommend any other blogs/websites/forums that deal with the same topics? Thanks a ton! Sick off dropshippers they don’t tell you that you have to wait up to 3 weeks brfeoe you get the product just to have it DOA or faulty and not worth returning..
BTW FC, not sure is it only me but every time i tried to share your post to my facebook page, it goes hayiwre. For instance, i wanted share this post but it showed the Jessica Alba is the hardest working mother post or just other random post.. Signing Up To Wholesale Clearance | Wholesale Clearance UK Blog has been stored as a favorite :), I really like your blog!